Here's a layout I made not too long ago but somehow forgot to share it here. It's my first official photo when I was about a minute old. Lot's of goodies on this one including sequins, paper straws and some Elle's Studio tidbits & tabs. 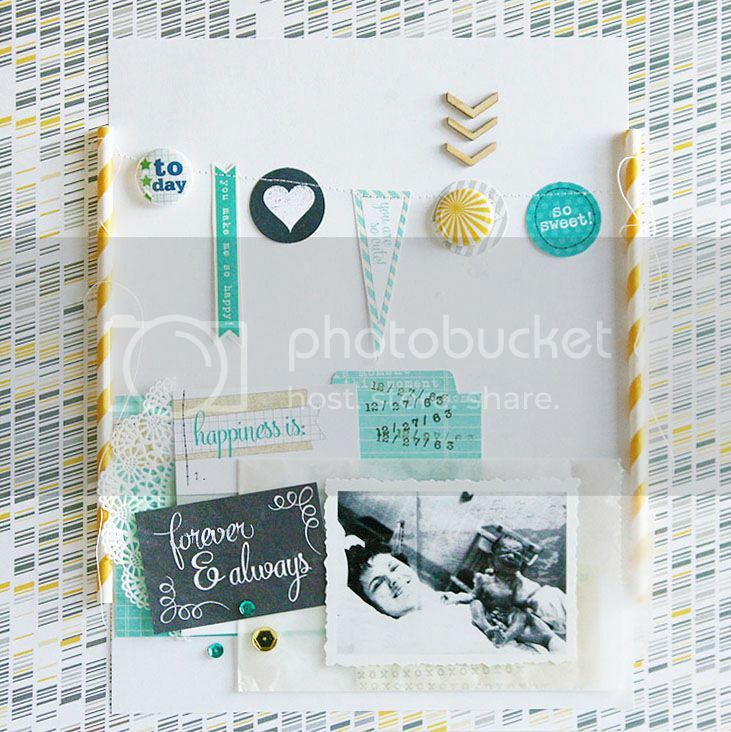 And...here's a layout using the new June kit from the Paper Bakery. The cute heart was made with left over scraps from other projects I had already made with the kit ;) Perfect way to use up those scrap pieces! Wow, that layout of your first photo is just incredible. I can't believe how you they sat you up like that, so cool to have that photo!! Bothayouts are Gorgeous! I really love that paper pieced heart in the second one! I absolutely love that first layout, the colours are perfect for the B&W photo. Such a great photo to have. Love both layouts but the first is truly my favorite. Love that banner! Cute idea to use the paper straws as banner poles. I love both layouts. I love how you used the paper straw. love that you used all the lovely shades of blue!! Great layouts! 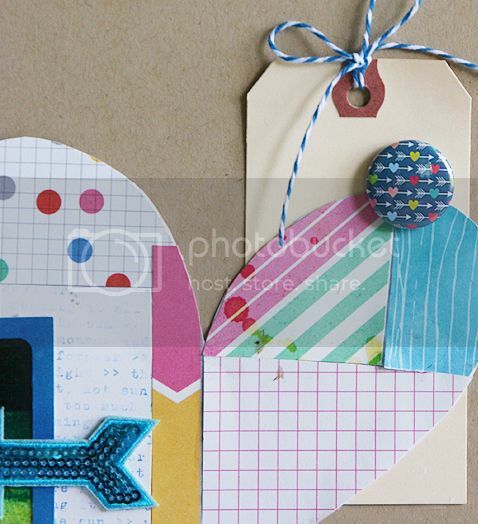 I love the scrap paper heart! Amazing layouts Mary Ann! Love the baby photo of you!! Wow ... again. I love this first layout, came here to see more!!! it is precious and so touching to see those pictures... thank you Hugs.